Tolerability and safety are important considerations in optimising pharmacotherapy for bipolar disorder. This paper reviews the tolerability and safety of lamotrigine, an anticonvulsant recommended in the 2002 American Psychiatric Association guidelines as a first-line treatment for acute depression in bipolar disorder and one of several options for maintenance therapy. This paper reviews the tolerability and safety of lamotrigine using data available from a large programme of eight placebo-controlled clinical trials of lamotrigine enrolling a total of nearly 1800 patients with bipolar disorder. 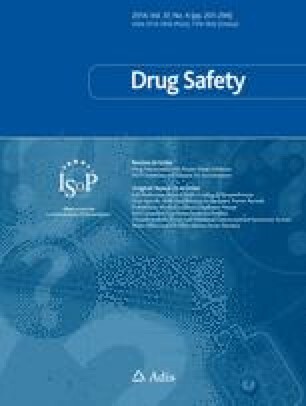 This review is the first to collate all the safety information from these clinical trials, including data from four unpublished studies. The results these trials in which 827 patients with bipolar disorder were given lamotrigine as monotherapy or adjunctive therapy for up to 18 months for a total of 280 patient-years of exposure demonstrated that lamotrigine is well-tolerated with an adverse-event profile generally comparable with that of placebo. The most common adverse event with lamotrigine was headache. Lamotrigine did not appear to destabilise mood and was not associated with sexual adverse effects, weight gain, or withdrawal symptoms. Few patients experienced serious adverse events with lamotrigine, and the incidence of withdrawals because of adverse events was low. Serious rash occurred rarely (0.1% incidence) in the clinical development programme including both controlled and uncontrolled clinical trials. These findings — considered in the context of data showing lamotrigine to be effective for bipolar depression — establish lamotrigine as a well-tolerated addition to the psychotropic armamentarium. Dr Charles Bowden was a primary investigator in the clinical development programme for lamotrigine for bipolar disorder and has served as a consultant for GlaxoSmithKline. Dr Gregory Asnis and Dr Lawrence Ginsberg served as contributing investigators in the clinical development programme for lamotrigine for bipolar disorder. Dr Beth Bentley, Dr Robert Leadbetter and Dr Robin White are full-time employees of GlaxoSmithKline. The development of this manuscript was funded by an unrestricted grant from GlaxoSmithKline. The authors thank Jane Saiers, PhD, for assistance with writing this manuscript.